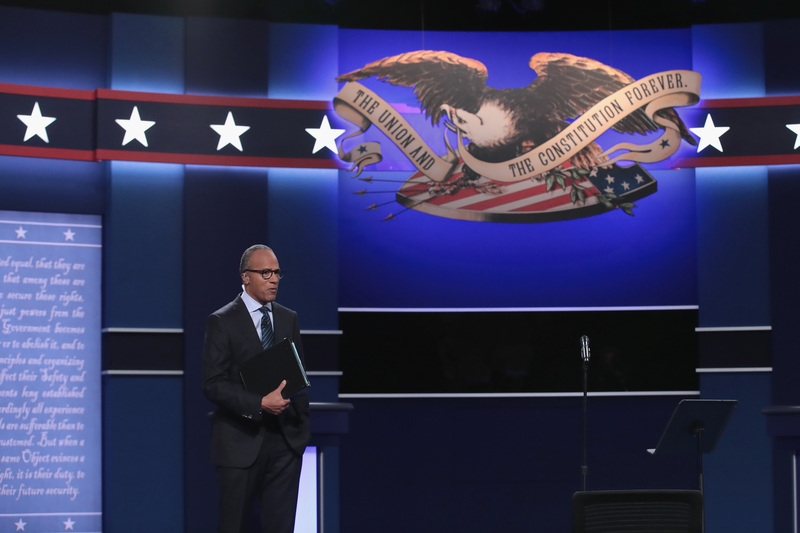 The quadrennial presidential debates feel a little bit like the quadrennial Olympics — every time they come around, we have to re-learn all the rules. One question that many have had about Monday’s debate centers on determining the order the candidates speak in: has the candidate who gets the first question always been determined by a coin toss? More importantly, how much of a role does the coin toss — which Clinton won earlier Monday, winning her the right to the first question — play in the ultimate outcome of the debate? Though the coin-toss dates back to the Roman era, the presidential debates only date back to 1960, when John F. Kennedy faced off against Richard Nixon in the first televised presidential debate. In his book JFK, LBJ and the Democratic Party, Sean J. Savage counts among one of several strokes of luck for Kennedy that he won the coin-toss determining who would go first. The toss, which was carried out by DNC director of radio and television J. Leonard Reinsch, allowed Reinsch to not only choose who would give their opening statement first, but also who would give their closing statement last. Savage credits Kennedy’s debate success — which turned the tide of that election, and subsequently, American history — partially to that flip of the coin. Coin flips have been used — and called out in the debates themselves — in many of the subsequent presidential squarings-off. Jimmy Carter got to speak first against Gerald Ford in 1976 (which was the next presidential election that featured debates after the 1960 election), and Ronald Reagan won his coin toss against Carter in 1980. In fact, even though the coin toss hasn't always been won by the eventual winner of the election, with only the exceptions of Al Gore and John Kerry in 2000 and 2004 respectively, generally the candidate who speaks first at the first debate has gone on to win the presidency (in 1992, Ross Perot spoke first, but Bill Clinton was the first major party nominee to speak at the debate). Whether the tradition holds, and Secretary Clinton goes on to win remains to be seen, but at least in this one respect, history is on her side.